We are working with organisms interfacing to digital audio in various ways. Data carriers may be nibbled on by insects, or mold and lichen might grow on audio circuitry, influencing it through changes in conductivity. Researching the influences of bugs and microorganisms on different data carriers and electronic circuits. Under the umbrella term: biodeterioration we are following two strings: first using actual bugs as “influencer” to digital carriers and systems. The “lesser grain borer” (Rhyzopertha dominica) seems to be useful in a destructive sense. 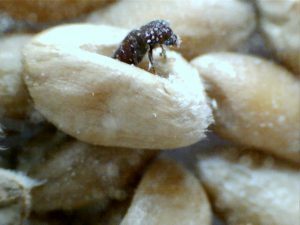 In comparison to the common “woodworm” (anobium punctatum) the grain borer gnaws as bug and not as larva. 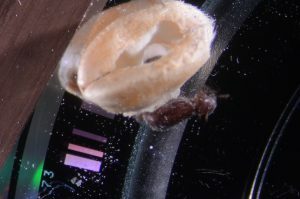 When his preferred food is not present the starving Rhyzopertha dominica can bore through various kind of polymers which are used as base substrate for data carriers and IC`s. 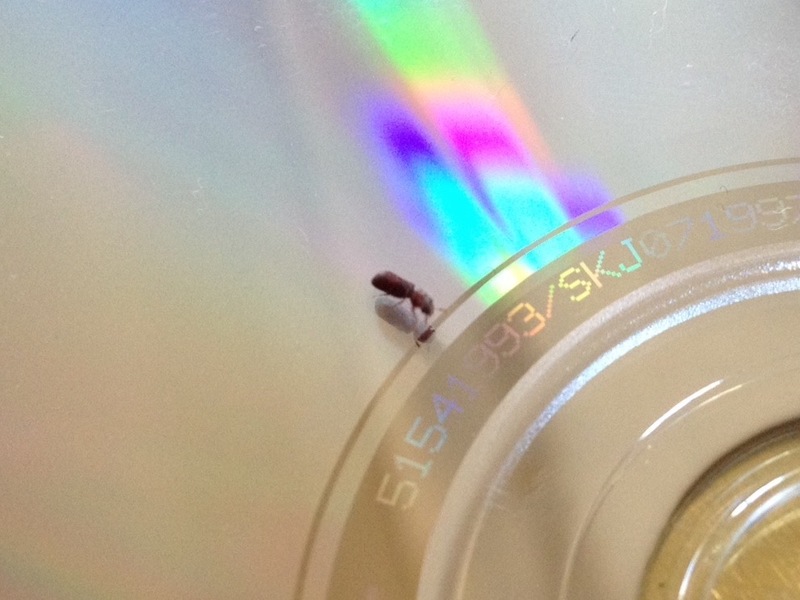 A side reference is the term “bug” probably introduced by edison and used by the computer scientist Grace Hopper to investigate a failure in an early electromechanical computer. She documented this error with the actual bug/moth taped to her notebook. Second topic is the potential influence of fungi and algae on electronic circuits. Since contaminated material accumulates humidity and generates an acid environment which can generate oxidation and “not-intended” functioning. Right now we are monitoring the climate in the sound gallery to identify micro climate areas for environmental stress testing.